Typhoid fever is a serious bacterial infection, but it can be prevented. Executive Health Services, Inc. is a leading provider of Typhoid vaccinations within a 100-mile radius of Philadelphia. Our knowledgeable, friendly staff is available 24/7 to address any questions or concerns that you have. Scroll down to learn how you can avoid contracting Typhoid fever when traveling to foreign lands. Typhoid is a bacterial infection that resides in human intestines and bloodstreams. How do people contract Typhoid? Typhoid is spread when being in direct contact with infected feces. Where is Typhoid typically found? Typhoid fever is most commonly found in Eastern Europe, Latin America, Asia, and Africa. Yes, Typhoid is preventable. In addition to being vaccinated, always drink bottled water and avoid eating from food carts when traveling to areas with high rates of this disease. Why should I get a Typhoid vaccination? Approximately one out of four cases of Typhoid end in death. Where can I get a Typhoid vaccination? Executive Health Services, Inc. has offices in Bryn Mawr and Philadelphia that will vaccinate you quickly and professionally. 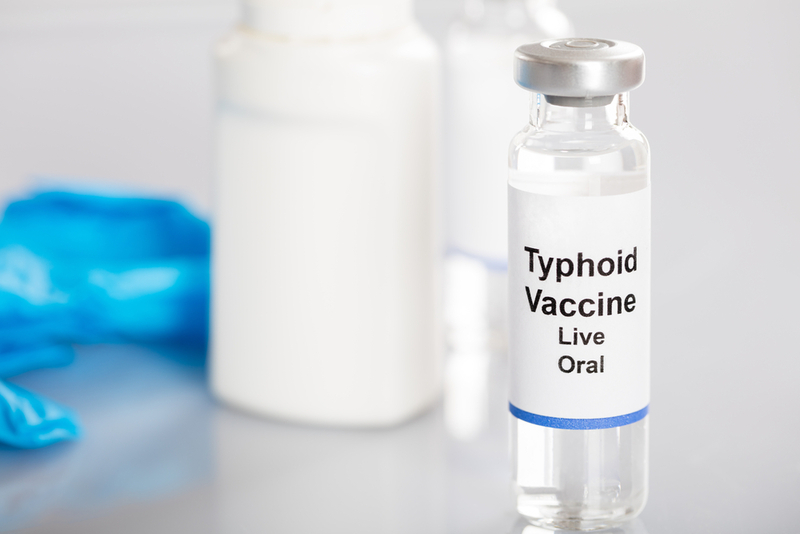 Who should I speak to about a Typhoid vaccination appointment? To schedule a Typhoid vaccination appointment, call 215-235-3000 today. Executive Health Services, Inc. is the only approved GLOBAL migration health examiner around Philadelphia, Bryn Mawr, and the surrounding towns. To avoid hazardous symptoms such as fever, rashes, red spots, abdominal pain, and diarrhea, call 215-235-3000, and we will help you get vaccinated before your travels.